We try to be as flexible as possible at the Red House Inn but we do have some policies to keep the business running smoothly. Please read over the policies to help make your stay more enjoyable and give us a call if you have further questions. We look forward to your stay with us! We hope that all reservations are made in good faith but know that sometimes plans must change. We always regret imposing cancellation charges for any reason but do adhere to these cancellation policies. If you have concerns or questions about the cancellation policy or feel you are not willing to accept the terms, please contact us as soon as you receive your confirmation if you have booked over the phone. If you are reserving online, you will be asked to accept the terms of the cancellation policy to complete the booking. Cancellation within 24 hours of booking will incur no cancellation fees. A $20 processing fee will be charged for all other cancellations. There is no additional charge for cancellations with more than a 14-day notice. Notice fewer than 14 days will result in a charge equal to the first night’s room charge. Fewer than 7 days or no notice will result in a charge for the entire stay. We are flexible about check in time at the inn. We can usually have a room ready as early as 1pm. You will be asked to choose a check in time when you book and any changes should be confirmed via email or by phone. Late arrivals can be accommodated but this must be organized ahead of time so we can provide a door code and directions to your room. Check out is by 11:00 am. We hold a reservation with a credit card number but process payment while you’re here. We prefer payment by cash or check but also accept all major credit cards. Breakfast for Inn guests is 8:00 –9:30am. We can accommodate earlier breakfasts and dietary requests with prior arrangement. Breakfast is not included with vacation house rentals. We allow well-behaved children of any age. The Cottage and the Taylor-Epworth Suite work well for younger children. Our vacation houses are a good option for families, too. Pets may be accommodated by arrangement with an additional fee. Please contact Daniel or Tracie. 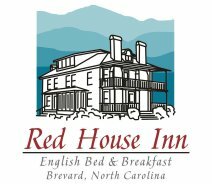 The Red House Inn and all vacation houses are non-smoking. Rooms at the inn have a 2-night minimum on weekends and 3-night minimum on holiday weekends. We take deposits for stays longer than a week at the inn and for vacation house rentals. For vacation house reservations, we require a 30-day notice for cancellation or changes to any part of the reservation to prevent loss of deposit. We require a 25% deposit for vacation house reservations. Refunds of any deposit will be issued by check. Cancellation with less than a 14-day notice, the guest is liable for the cost of the entire stay booked. Check in for vacation houses is after 4pm unless other arrangements have been made. Come by the inn to pick up keys and a packet with directions to the house. Check out is by 11am. Please drop the keys off at the Red House Inn by 11am. Breakfast is not included with vacation house rentals. We allow well-behaved children of any age. Our vacation houses are a good option for families. Pets may be accommodated by arrangement with an additional fee.Please contact Daniel or Tracie. Vacation houses have a 2 or 3 night minimum depending on the season. We take 25% deposits for vacation house rentals. Our goal is to provide a wonderful experience in the desirable location of Brevard, NC. We strive to create an environment that is welcoming and accommodating for all individuals, including those with hearing, vision or other disabilities. We have built our site with ADA compliance in mind and have utilized available tools such as achecker.caand Google Chrome’s ADA compatibility diagnostic tools. If you have difficulty navigating our website or booking a room at our inn, we ask you to contact us via telephone or email and our helpful staff will be happy to assist you. We work very hard to provide an easy-to-use online experience for all guests. We believe all of our website visitors should be able to easily research online on http://www.brevardbedandbreakfast.com regardless of device type and whether an individual requires assistive technology like a screen reader, font magnification, translation or voice recognition software. Our hotel website allows visitors to search for accessibility featured guest rooms with ease and details our property’s accessibility features here. Note: our property does not have to comply with the American Disabilities Act’s physical requirements for the property and therefore, has no handicap accessible features. Our inn’s website can be navigated by using the tab key to traverse the elements of each page and by using the enter key to activate a highlighted link.